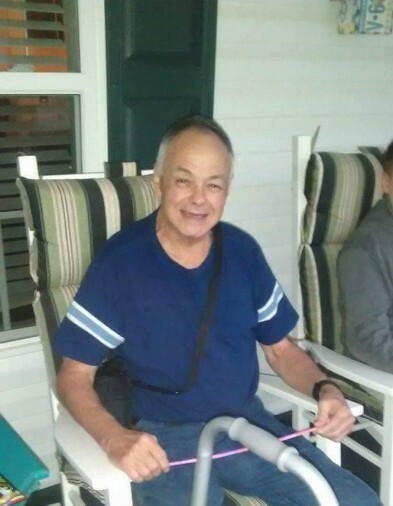 William Tracy Hollifield, 64, of Archdale, North Carolina, passed away on November 1, 2018 in Archdale, North Carolina. William was born in Rutherfordton, North Carolina to William Crayton Hollifield and Betty Gene Anderson on June 1, 1954. He worked as an auto body repairman before he retired, and was known as the “body man”. William is preceded in death by his father, William Crayton Hollifield. William is survived by his mother, Betty Gene Anderson; son, Phillip William Hollifield and wife Joanna; brother Beadie Hollifield and wife, Dianne; sister Teresa Greene and husband Gregg; stepmother, Jane Hollifield; step brothers, Robert Sears and Philip Sears; Grandsons, Ezra, Vance, and Judah. Memorial services will be held at 5:30PM on Tuesday, November 6, 2018 at Archdale United Methodist Church, 11543 N. Main Street, Archdale, NC with Pastor Jeff Perdue officiating. A second memorial service will be held Thursday, November 8, 2018 at 3:00PM at Cane Creek Baptist Church, 151 Cane Creek Mountain Rd, Union Mills, NC with Pastor Danny Camp officiating. Guil-Rand Funeral & Cremation Service is honored to serve the Hollifield family. Online condolences can be made at www.guilrand.com.